Conducting a year-end risk assessment? Try this. If you received a large refund after filing your 2017 income tax return, you’re probably enjoying the influx of cash. But a large refund isn’t all positive. Individuals can deduct some vehicle-related expenses in certain circumstances. Rather than keeping track of the actual costs, you can use a standard mileage rate to compute your deductions. The IRS has just announced that it will begin accepting 2017 income tax returns on January 29. You may be more concerned about the April 17 filing deadline, or even the extended deadline of October 15. 401(k) retirement plan contribution limit increases for 2018; most other limits are stagnant Retirement plan contribution limits are indexed for inflation, but with inflation remaining low, most of the limits remain unchanged for 2018. The year is quickly drawing to a close, but there’s still time to take steps to reduce your 2017 tax liability — you just must act by December 31. Today is a very important day, indeed. It's National Comic Book Day! Did you know that our very own Gene Bell loves comic books? Some of his all time favorites are Hawkeye, Batman, Silver Surfer and Starman! With Autumn making it's grand entrance soon, what better way to start off the season than by visiting our local Bellewood Acres? A local favorite, Bellewood Acres brings locals and out-of-town guests together each year. 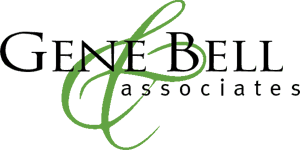 Welcome to the Gene Bell & Associates Blog!